You might think that we love the Geneva Motor Show because of its 903 horsepower McLarens, 963 horsepower Ferraris, and 750 horsepower Lamborghinis. FALSE. The best part is the absurd concept cars. 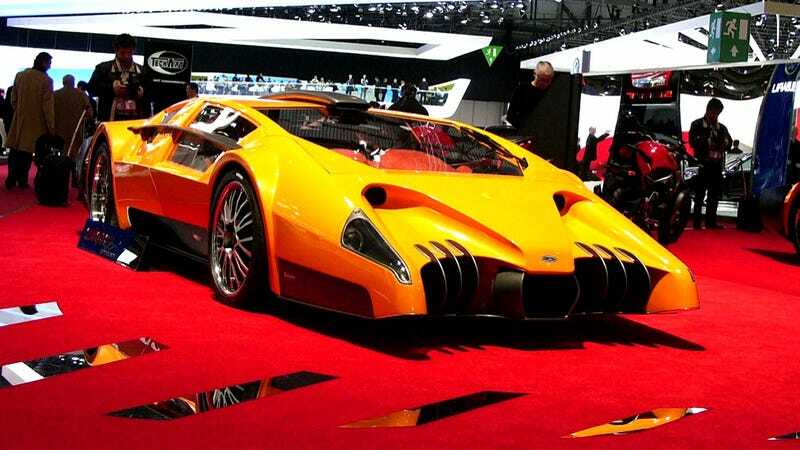 I mean, anybody can crank out a supercar, but it takes a special kind of crazy to show off something like the Sbarro Autobau from the 2010 show. It might be the ugliest car we've ever seen. Only the Japanese shows approach these levels of acid-trip automobilism. What's the ugliest, weirdest concept car you've seen in the Geneva Motor Show?